Ardex Feather finish aka Concrete Countertops. Have you heard about them? Have you been intrigued to give them a try? I’ve had these Ardex Countertops in my kitchen for the last four years, so I want to break down what they are, how they look, how they hold up, and all questions I get about them. This post contains affiliate links for your convenience. I make a small commission, with no added fee to you. So let’s start out with a fabulous photo of my concrete countertops. See the rustic vibes they give off, and yet they still have somewhat of that polished effect. 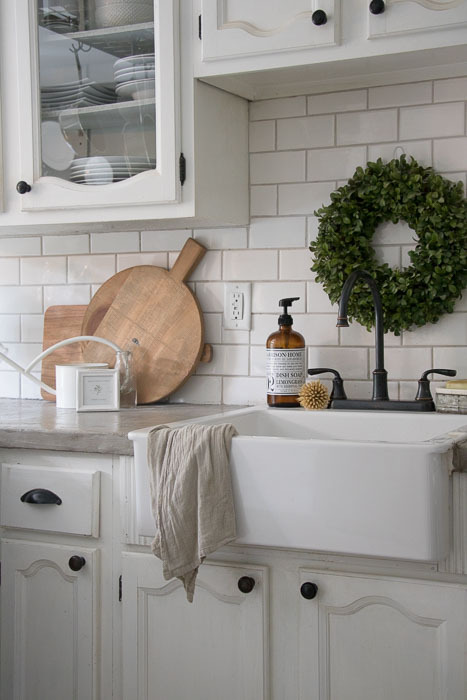 It’s a great look, and a great affordable option for your DIY kitchen upgrade. 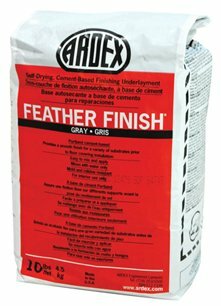 Where to buy Ardex Concrete? Click, here and you’ve got the best shopping experience for purchasing Ardex. I’ve ordered multiple bags over the years…which I’ll get to in a second. Be sure to purchase enough to cover your countertops. Having more is always a good options so if you need more in the future, or you need to add another layer you won’t stress that you’ve run out of concrete mix. How do I apply the Ardex to a Laminate Countetop? Follow instructions on the bag! Hahah no I won’t just leave you with that. Be sure to scuff up laminate counters. Use your Hand sander and really rough up the surface. Once the surface feels rough and scuffed…then start to create mixture and apply in small batches. You can pour the concrete mixture onto the counters, working one side to another. 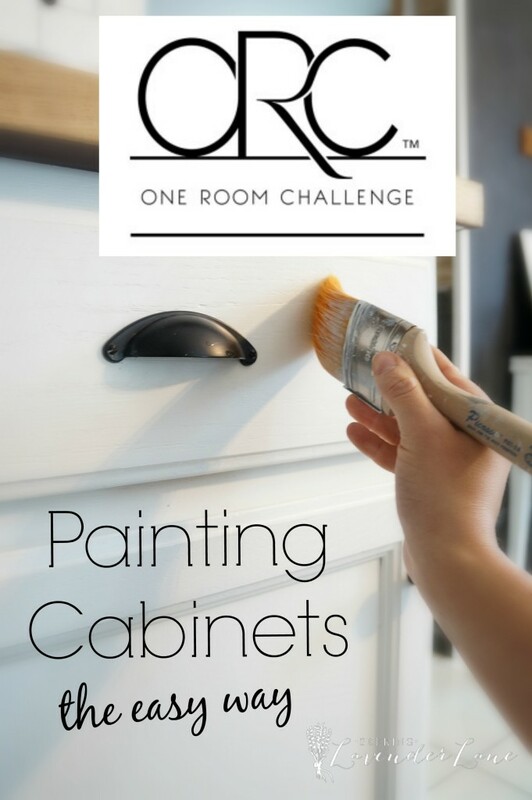 Be sure to let dry in between coats and apply more coats until you are satisfied with the surface. Sand between coats. Also allow to dry at least 12 hours before applying sealer. Yes, I’d say work as a pair with applying..this way someone can mix while someone applies to the surface. You don’t want the mixture to dry too quickly then it won’t be possible to apply. Work in small batches and like I said if you have two pairs of hands…the better! Cover surfaces where you don’t want concrete to get onto. 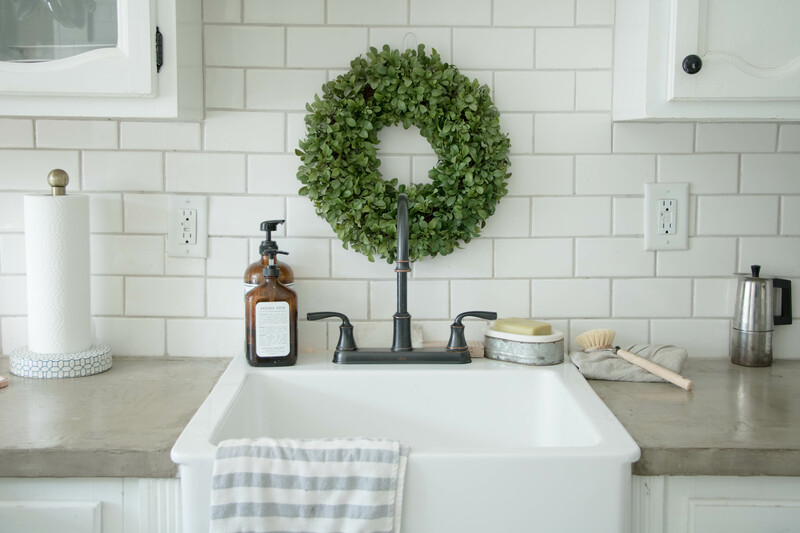 Add some garbage bags to cabinets, and tape tiles and backsplash.Be sure to have the right equipment that will help make application possible.Use these tools to help with applying. Using multiple sizes will help! What do I seal it with? There are so many options out there for sealing the counters. I know I have had some readers inform me that they used a “food safe” sealer. I believe though it is safe for handling food etc. it does not seal the counters that well. I used Valspar Wet Look Concrete Sealer, the last time I sealed my counters which works beautifully! *Tip do not seal with roller..I know from experience it does not apply as well as it does with a brush. 3 coats minimum. 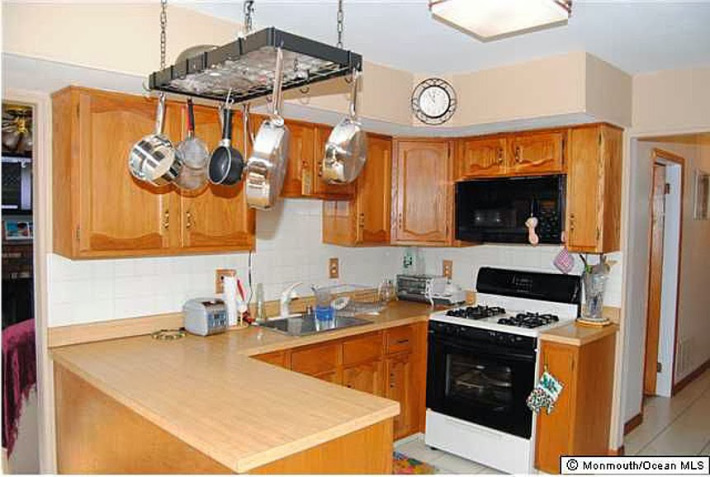 How Do the Countertops Hold up? Here’s the break down of how they hold up and our process and experience with the countertop life span. We have had our countertops 4 years total. We initially painted over the concrete when I read a tutorial wrong. 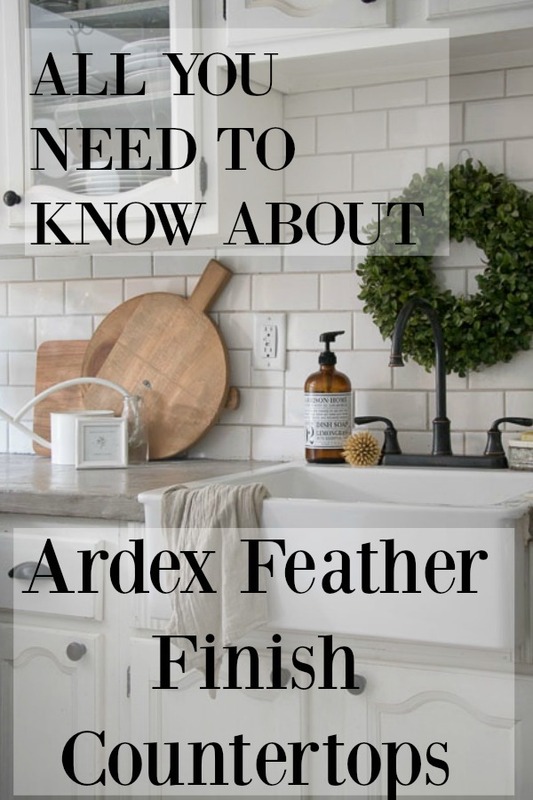 Read all about that our Ardex Feather Finish application, along with our second experience covering our counters with Ardex Feather finish. We covered our counters for the second time about two years after doing them. Mainly because we painted them and the paint was chipping. We then got another 2 years out of our counters before re-doing them last month. 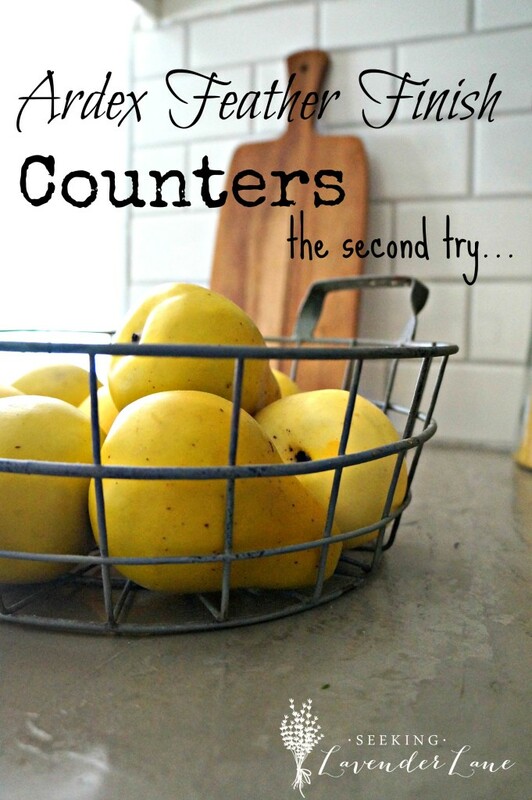 Why did we have to re-do our counters? Well, though the sealer works well, the counters do tend to get oil stains. We had quite a few on the counters including a stain from a glow stick that leaked (2 kids what do you expect) Those were the only two kinds of stains over those two years that did not remove from the counters. Other then that they hold up wonderfully. We did get a bit of ware and tare at the corners too, but if it weren’t for the stains…I probably would have lived with the chipped corners. How do I re-do the Countertops? This is very simple and though it’s a bit of a nuisance to have to re-do a project, it really should be something that you can get at least two years out of before re-doing. Sand down the original concrete counters. Be sure to get that good rough surface as you did when initially applying. Having a good surface for the product to stick to is important. Then apply just the same as the first time. That easy! Now, that’s about it for what I generally have questions about. Of course if there is anything else that I can help with please feel free to email me. 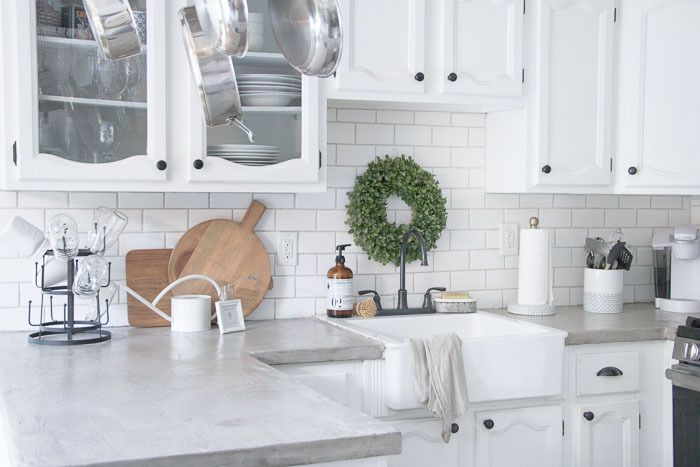 Using Ardex feather finish is the perfect solution to creating a DIY kitchen. 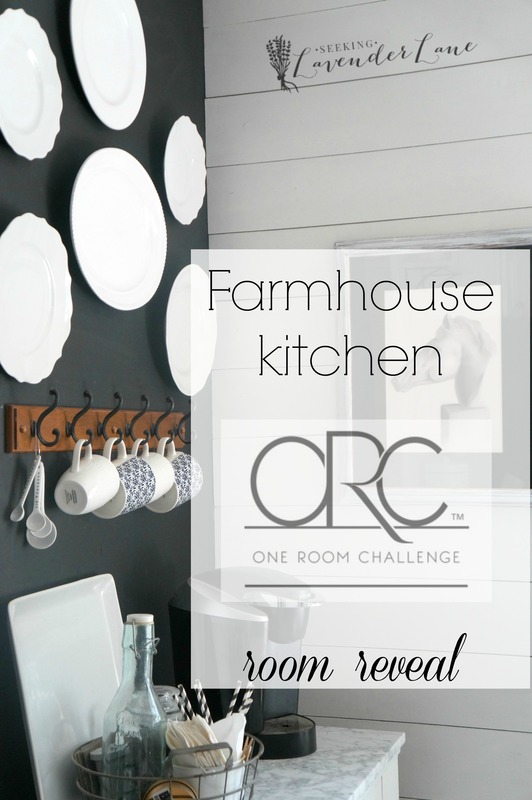 It adds that rustic Farmhouse look, or can even create a true modern or industrial look. I would say it may not be a total permanent fix…or if you plan to have new cabinets install…maybe go with the poured concrete route for them. This is that temporary finish with a “wow” effect. I think it’s the number 1 thing people notice when they come to our house so I will say it’s definitely a conversational piece. I love the look of concrete counter tops! That’s what I want to do if we ever buy a house someday! I’m with ya John! It’s awesome! I think this is really good advice. My family likes to throw away bad countertops instead of enhancing them. I’m going to do this next time. Thanks for writing.